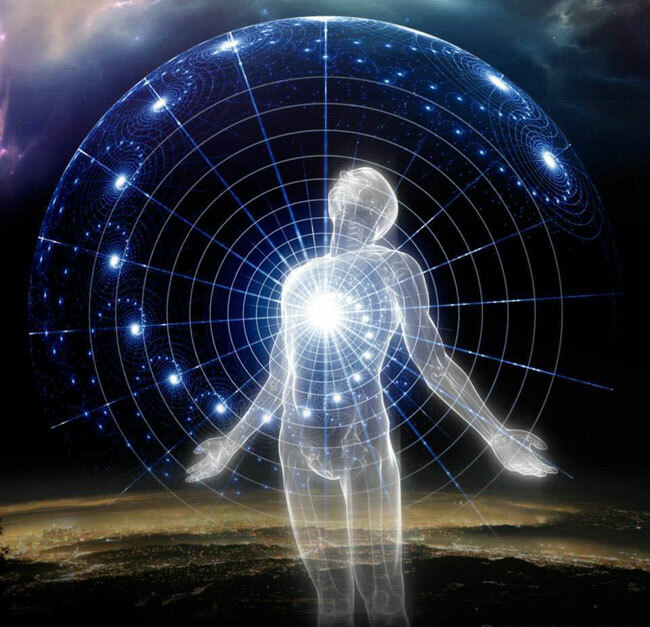 Recently I've started helping people out more on astral projecting on Reddit (r/astralprojection under the name Dehydrayton) and decided to transfer it here after I started better understanding this reality and putting together the information I learned over the years, combined with my personal experiences along the ongoing journey of spiritual evolution. I created this technique myself; I'm calling it the Drayton Manifest Technique as it's my last name (intentionally named the DMT Method ). What this technique will do is put you in the hypnagogic state/void state/Monroe's focus 10/mind awake body asleep which are all the same thing. It's the state of awareness that allows you to separate the consciousness from the physical body allowing you to experience a boundless form of being, only limited by what the individual can think of (the human body is a dense vessel to hold the individual's consciousness yet is still always connected to the source of what created the electromagnetic structure of the entire universe). I speculate that the emphasis on intent allows separation because the emotional attachment to a certain goal you want to acheive is the determining factor in whether you manifest that desire into reality, and is fundamentally the decision-maker in whether you can do something in life and is what the word intent means. This technique that I created is something we all do in various situations, but I had an epiphany 2/25/18 at 7pm allowing me to articulate how to consciously take control of this energy/vibrational state/conscious awareness/akashic records directly for self and spiritual development, astral projection, or even just bringing more positivity into your life by attracting similar resonant frequencies so I highly recommend giving this a try if other ap attempts were unsuccessful. 3. When you notice you stopped the breathing patterns, explore what your intent was in the first place (what was today's goal after separating?). Really take in consideration how awesome it would be to do that thing that made you wanna project in the place at this particular moment, immerse yourself by playing out what you'd do when separating essentially. It can be literally anything, as long as it's something you ACTUALLY wanna do whether it's insightful, emotional, sexual, or just really fun. I almost stopped reading beacause of the "dmt" word. I thought DMT drug is required. Wow this was well put together in a way I could understand, I may have to go search what 4-7-8 breathing consist of , which I have a feeling I already do it when I try to project but like you said we try to take control instead of let it be, I shall try this tonight, thanks. Nice write-up. It resonates a lot with me. Well done. Of course it is never a guarantee that it works for me since not all methods work. But I might give it a try. I have the intent (goal) focus anyway already, shouldn't be a greater problem. Also, putting positive emotion in it is good for me (looking forward to the experience with joy) which is what mostly gets me projected in the first place. That breathing pattern you mean is seconds and inhale-hold-exhale - I suppose? I've seen the 4-7-8 breathing promoted by dr Weil. Breath in through your nose for a count of 4, hold in for a count of 7, breath out through your mouth with a noisy "whoosh" for a count of 8. The speed is less important; the ratio is important. As many other "techniques", this is another one that tries to induce a trance state through self hypnosis. Obviously the aura of Eastern mysticism (push your tip of your tongue behind your upper teeth) distracts, and the "whoosh" is counterproductive to achieving the trance. There is also an ominous "don't do more than 4 consecutive cycles!" warning. The meat of this technique is to firstly raise your frontal lobe activity, by focusing and generating a tension, then brusquely lower your frontal lobe activity, by switching to relaxation. This two step process is the one that induces a trance conducive to psychic phenomena (as some neuroscientists found out). For me this problem is the most difficult part of conscious projection. The trouble is that changing the pattern abruptly is something that just happens rather than being deliberate. The way I experience it is essentially the not thinking about elephants problem. Becoming aware of breathing automatically is logically coupled to refocusing on the physical. Sometimes I feel like the realization that breathing has changed wasn't even possible without physical focus as a pre-requisite. I have only ever found two routes to follow upon realizing breathing has changed. The first route is do nothing, and it results in a breath hold that messes up the state. The second being do something which is also a change in the breathing pattern that messes up the state. Just going back to automatic breathing is not something I can do in that moment, it isn't something I can do in normal waking life either. Any tips? Thaomas, you are too mechanical in your approach to this practice. You begin with a focus on the 4-7-8 process. Somewhere along the line, you go back to your normal breathing. But that initial focus on 4-7-8 has consumed your entire conscious focus enough that the shift has already started to occur. This is when you set an intent and go. I see this being the time that you yourself kick into "right brain"/mechanical mode and ruin all the progress you just made. From reading many of your posts here on the Pulse in the past, I see your problem is that for some reason "you can't let go". that's what you need to work on. Every technique you try has the same results because the same "block" is plaguing you again and again. Focus on these 3 words "Relax, Release and Let Go". Once you can do that, any technique will work for you. You just need to get over that hump first. Thank you for posting this. I am sure that what you are saying will be an eye opener to a lot of readers. Your statement is at the core of my understanding of what NP is and if asked to formulate it I would use similar words. Consciousness in NP (or astral) and therefore the existence of NP is a matter of perception (or I would say state of mind although someone here corrected me for using this phrase). There is also an ominous "don't do more than 4 consecutive cycles!" warning. yeah, I would like to try this method but I'm wary of these warnings about doing too much of this breathing. Does anyone know what the supposed negative effects are meant to be? Some cursory googling reveals a bunch of stuff but who knows what to believe. Maybe the "risk" is that you project! And dr. Weil doesn't want you to do that, because he wants you to wake up. Maybe the "risk" is that you project! And dr.
...or "hyperventilation" and a headache. That can also occur when messing around the natural rhythm of your breathing. It's the new Wim Hoff obe method! Well, focus is focus. It doesn't matter what your choice for focus is. I guess pleasure through pain works as well, lol!